This week-long intensive course for scientists and clinicians covers the basics of computational genomics, while integrating the latest technologies and computational methodologies. 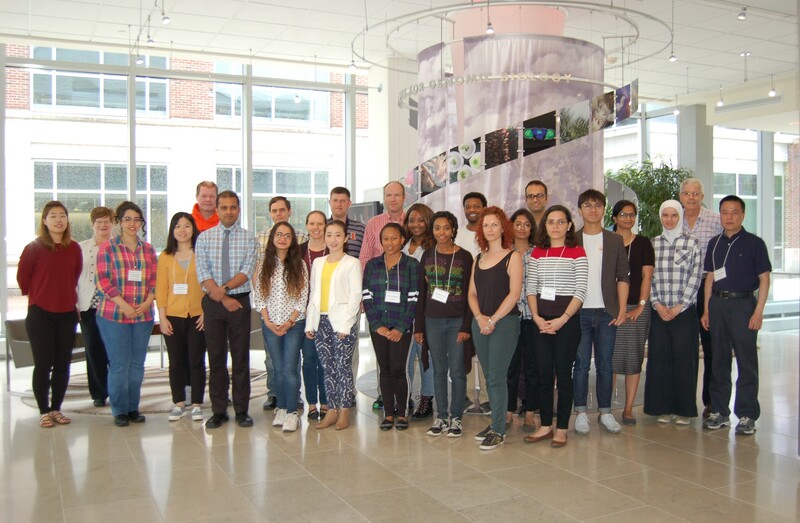 University of Illinois faculty teach lectures and lead hands-on lab exercises in a variety of subject areas including genome sequencing and assembly, polymorphism and variant analysis, epigenomics, and data visualization. The University of Illinois at Urbana-Champaign and Mayo Clinic's strategic alliance encourages a broad spectrum of collaborative research, the development of new technologies and clinical tools, and the design and implementation of novel education programs. There are a myriad of interactive research opportunities within the Mayo Clinic & Illinois Alliance. Mayo brings an exceptional portfolio of clinical and translational research and healthcare delivery. Illinois has strengths in engineering, technology, and life sciences--especially in high-performance computing, software, imaging, nanotechnology, genomics, and tissue engineering. "I was very happy with the course. I learned many different methodologies and tools, and was also exposed to relevant cutting-edge research!" “This is a good course which reaffirms the science of Biology and Genetics mostly at an advanced level." "The course was one of the most valuable educational experiences for me."